Bali ATV and Waterfall Trekking is an Bali Double Activities Tour Packages we created by allowed you to enjoy two activities in one day, first we will explore Bali Islands by using ATV bike with professional ATV guide at Khrisna Adventure at Sambangan Village and then continue the tour to enjoy the trekking of Sambangan secret garden well known the Aling-aling waterfall with professional guide. First you will have safety briefing before start the ATV riding and then the guide will lead your adventure for Full Trek in Khrisna Adventure, after finish the ATV riding you will enjoy the trekking of Sambangan Secret Garden, we will bring you back to your hotel with full of amazing memory during this double activities of Bali ATV Ride and Waterfall Tour packages. The Best Combo adventure we offer to you during your holiday, by doing this two adventure of ATV Ride and Waterfall tour will make your day fantastic. 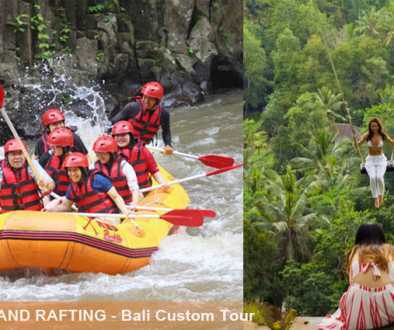 The tour will assist by our professional Bali Tour Driver by perform excellent tour services with private car, clean, comfortable and good A/C condition. Sambangan is known the secret garden. 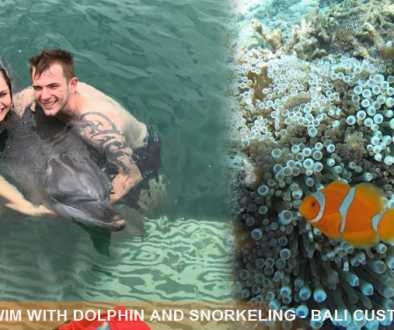 It is located in north of Bali, It is about 2 hour from Luta, Ubud and others resort area. Why it is village become so famous the fact is a n umbers of beautiful waterfall we can find just in 15 minutes from the starting point. The waterfall is not only you can watch but you can feel the vibration of the Kroya waterfall when you take a sliding, I am (Pak Ena) the writer of this website did it when I visited this waterfall. I feel so amazing not just a sliding at a plastic pipe at water park but this is a truly nature action. There 3 grade treks in this village if takes the long trek 7 waterfall that can visit, while on the trek you also can see the rain forest, view of rice terrace, people farming in the rice field by traditional way. The guide will take you to explore the 4 waterfalls at the Banyumala river. This location is not so far from starting point just 15 minutes you will enter the existing stair down the shade cliff. The first waterfall you can see is Aling-aling waterfall with 30 meters high, the next and apposite way you will find the Kroya waterfall 12 meters, in this Kroya waterfall you will the extraordinary sliding with your body and fall into the lagoon, in just in the location you will find other beautiful Kembar waterfall (Kembar =Twin) yes Twin waterfall with 8 meters high and then the last is Pucuk waterfall with 15 meters high at this waterfall you can jump into the waterfall. Medium tracking is short trekking program with additional of trekking to the rice field and villager house, cover plantation and the Singaraja town view from the high view point and before the group of Short Trekking waterfall (Aling-aling, Kroya, Kembar and Pucuk) you will find the amazing Blue Lagoon you can swim in this blue Lagoon the nature swimming pool. This trekking is started from Tiying Tali dam, along the trip you will see many kind of plantation such us Coffee plantation, cocoa plantation, forest, skin snack fruit plantation, palm sugar trees, jack fruit, banana plantation. We also will see the rice terrace view from the high point. Moreover we also see many activities of farmer in cultivating their rice field. In the jungle we will find the Cemara waterfall, Dedari waterfall, Canging waterfall and Blue Lagoon Waterfall continue to the complex of Short Trekking Waterfall those are Aling-Aling, Kroya waterfall, Kembar waterfall and Pucuk waterfall. Short Trekking include: Mineral water, insurance, life jacket. Medium Trekking include: Mineral water, Coconut drink, insurance, life jacket. Long Trekking include: Mineral water, Lunch Box, Coconut drink, insurance, life jacket.